In this letter, Kansas Agriculturist publisher, J.E. 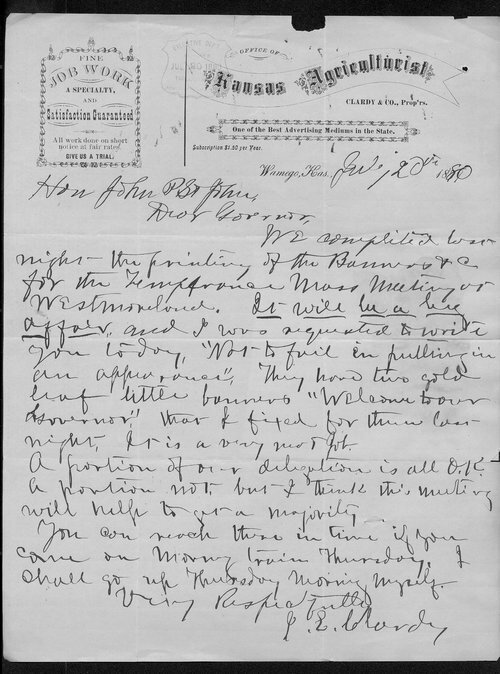 Clardy, notifies Kansas Governor St. John that banners have been prepared and printed for the Mass meeting in Westmoreland. He appeals to the Governor "not to fail in putting in an appearance."